One of the wonderful perks of being a member of Schoolhouse Review Team is the chance to test new homeschooling products. I haven’t heard of NotebookingPages.com until I was offered to review this product. Let me tell you about about our experience. 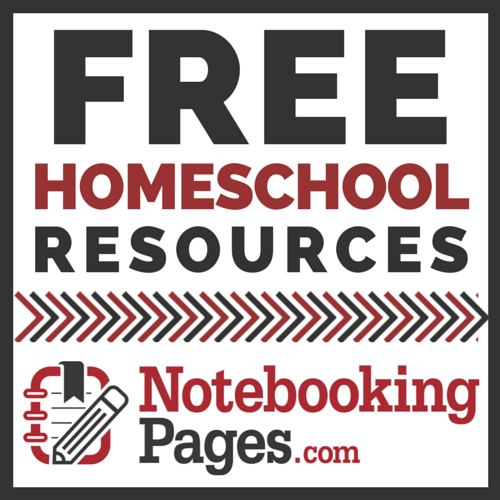 NotebookingPages.com was founded by Debra Reed, a mom of ten kids, who begun her homeschooling journey in 2000. Notebooking Pages were the result of her homeschooling experiences, personal struggles and lots of trial-and-error. With Notebooking Pages Debra Reed created something that added element of fun and flexibility to her family’s homeschooling life, saved her family from homeschool burnout, boredom and busywork. NotebookingPages.com has been very generous providing each member of the review team with a lifetime membership to their amazing Notebooking pages. With my membership I have a lifetime access to thousands of pages, themes, designs and more. What’s more The Easy Start Guide and tutorials make starting a breeze. The website is very easy to use. When I log into my account, I am presented with the Welcome to Your Lifetime Member Center page. As you can see on the pic above Notebooking Pages cover a great variety of subjects. When I click on Science and Nature tab (because these are our favorite subjects), I’m taken to the next menu. Besides animals some of the other options here are Astronomy, Nature study, Plants, Experiments & Templates and more. When I click on Animals I am taken to the next menu that offers a couple of different options with one of them being “Mammals” in alphabetical order. We’ve been studying a lot about Wolves lately, so I’m going to select “Wolf” tub. Immediately a 15-page pdf loads to my computer. The 15 pdf pages offer a fun way for kids to organize and record the information they learn about Wolves. Some of the other pages that we found useful are: geography maps, state studies, and holiday notebooking pages. First I took some time to explore the website and the notebooking pages to get a feel for it. There is a lot of information and lots of different topics. As I came across the pages that I thought would be of interest to my kids,I printed them out. Later, I invited my older two kids to explore the website with me and pointed out some specific topics like Transportation and (with the upcoming Olympics and all the talk about it) Sports. Kids used most of their pages in the backyard since in a summer we take every opportunity to soak up the sun. My older two kids are story-tellers. They process information by putting it in a story format. No matter what subject we are covering in our homeschool, they like to narrate it. Notebooking pages is a great way of recording their written narrations. However, my kids are way too young for notebooking. At the moment their writing skills is not developed well enough and putting pencil to paper and expressing their thoughts on notebook pages is just too advanced and frustrating. Thank goodness the membership is for life! I think in a few years, the notebooking pages will become a huge part of our homeschool. Let me tell you about some of the things I did love about Notebooking pages. Notebooking pages offers a great way to personalize the studies. Students can put together their own books by using pages from combining subjects. For example, they can start with a timeline of inventions, discuss biography of a scientist, touch upon specific inventions and perform some hands on science experiments, and finish with the historical impact of those inventions. With this approach learning is not confined to one specific subject in isolation. Students are encouraged to research and record what they found interesting. Most importantly, at the end of the day (or month) they end up with a perfect little book of their own creation that perfectly outlines what they learned. Overall customer support is amazing. Within days of opening an account you get a warm message encouraging you to start using the resources because it’s so easy to sign up for a new program, but never actually get around to using it. It takes a bit of time investment initially to learn the ropes, but Notebooking Pages make it easy by providing tutorials and their support center is just a click away. At any moment, you can press the green “help” button at the bottom of the page to ask for assistance. You can actually try Notebooking Pages for FREE. A free product sampler includes 600 notebooking pages PLUS tutorials! If you are interested in learning more about this company, visit their website, and social media links. Other Schoolhouse Review team members reviewed this product. Click on the pic above to read their reviews. Hey Buddy!, I found this information for you: "Notebooking Pages Lifetime Membership (Review)". Here is the website link: http://kidminds.org/notebooking-pages-lifetime-membership-review/. Thank you.